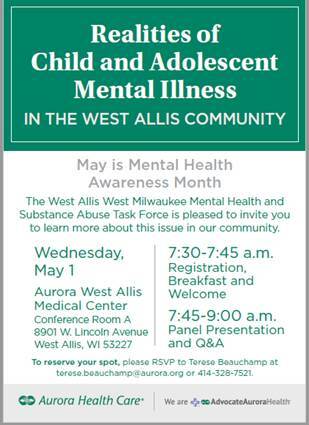 Listed below are links to some great resources from the West Allis West Milwaukee Community Coalition. Proclamations to designate April as Alcohol Awareness Month have been signed by Dan Devine, the Mayor of West Allis and by John Stalewski, the Village President of West Milwaukee. Both proclamations will be posted on the Coalition’s website www.wawmcc.org and Facebook page. A flyer/poster about drink sizes and binge drinking is available upon request. A PowerPoint slide presentation is also available that can be shown on TV screens. Students at Central and Hale have been busy planning activities for after Spring Break. Remember to check out pictures from these, and other student activities, on Facebook. 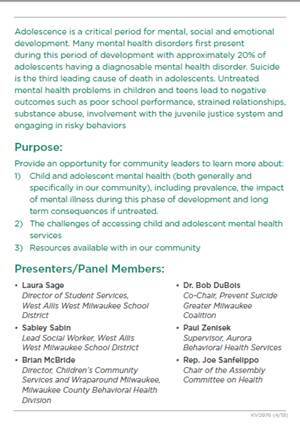 Please share this information with family, friends and the community – you can make a difference. Thank you for your continued support of the Coalition.